We live in a time of dynamic, but generally regressive regime change-a period in which major political transformations and a rollback of a half-century of legislation are accelerated under conditions of a prolonged and deepening economic crisis and a worldwide offensive against the citizenry and the working class. 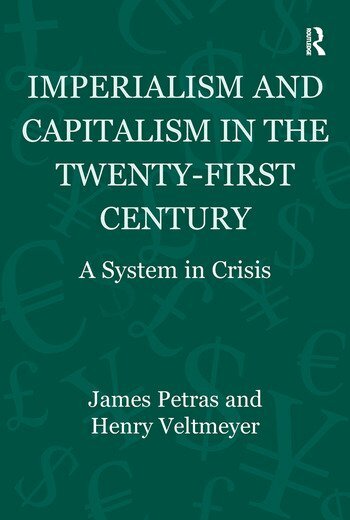 Written by two of the world’s leading left-wing thinkers, Imperialism and Capitalism in the Twenty-First Century takes the form of a number of analytical probes into some of the dynamics of capitalist development and imperialism in contemporary conditions of a system in crisis. It is too early to be definitive about the form that capitalism and imperialism -and socialism-might be or is taking, as we are in but the early stages of a new developmental dynamic, the conditions of which are too complex to anticipate or grasp in thought; they require a closer look and much further study from a critical development and Marxist perspective. The purpose of this book is to advance this process and give some form to this perspective. James Petras is Professor Emeritus in Sociology at SUNY, Binghamton and Adjunct Professor in International Development Studies at Saint Mary's University, Canada. Henry Veltmeyer is Professor of Development Studies at the Universidad AutÃ³noma de Zacatecas (UAZ) in Mexico and International Development Studies at St. Mary's University, Canada.